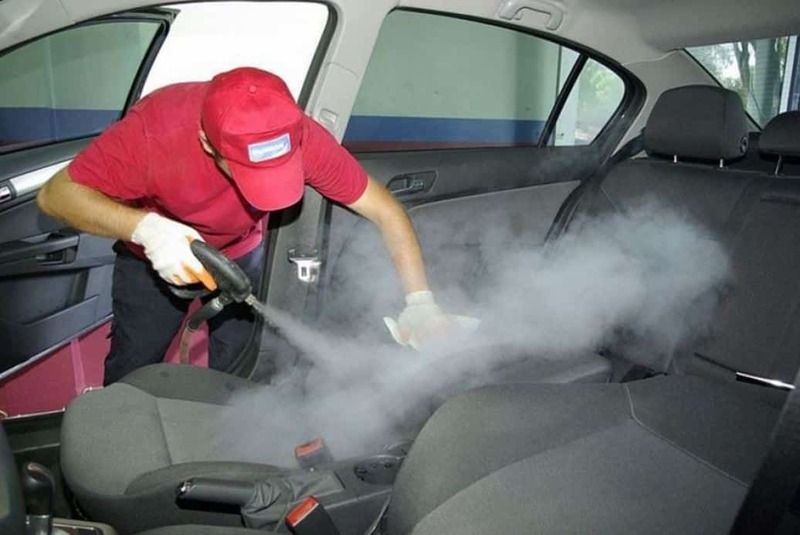 The main purpose of car covers is to protect the seats from various contaminants: if necessary, they can be cleaned or changed. Recently, they began to perform decorative functions. 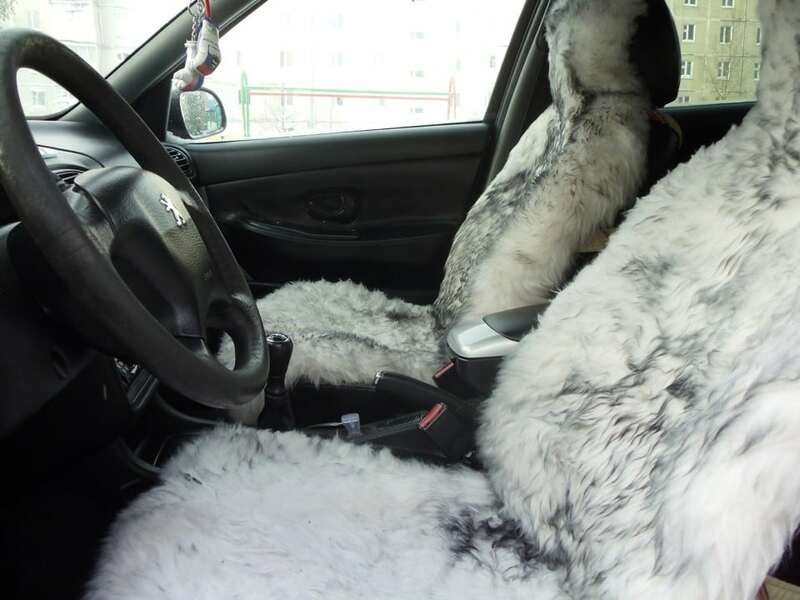 They decorate the interior, give it a pleasant look and just delight the driver. But over time, dirt and stains spoil the whole design. And then the question arises: "Is it possible to wash car covers?" It is not possible to answer unequivocally, since the peculiarities of cleaning depend on the material from which the covers are sewn. All types of upholstery require an individual approach. Universal can only be dry cleaning. This is the easiest way to wash car covers. All worries and questions are passed on to other people. Professionals select the right tools for each type of material. However, there is a significant disadvantage of the method - the high cost. And with every spot you do not run into a dry cleaner. Therefore, you need to know how to put in order capes. Leather or its substitute are considered the best materials for car covers. These are practical and durable materials that are easy to clean. However, you need to take care of them correctly, otherwise the products will quickly become unusable. The main rule: leather and leatherette covers can not be washed! How then to deal with them? Spray on the stain with a special spray, you can use skin cleanser, and wipe with a soft cloth. If there is a need to clean the entire cover, the product is sprayed onto the entire surface and also wiped with a dry cloth. If the contamination is strong and not removed by liquid means, then you can try to clean them with a cream or gel-like means. A small amount of it is smeared on the case and evenly rubbed with a cloth. Then it is left for some time for the substance to dry, and it is removed with a clean cloth. Dealing with fresh pollution is quite simple: it is wiped with wet wipes or a handkerchief. Grease stains are easily removed with alcohol: a trowelled area is wiped with a cotton swab dipped in cotton. If the need arises wash covers from eco-leather, you can dilute the carpet cleaner (1 st. l. or measuring cap on 5 l of water) and wipe the surfaces with this tool. It so happens that the skin cracks. They can be restored if rubbed with a special cream and allowed to stand for at least a day. And then polish or simply wipe the surface with a soft cloth. Cloaks made of fabric are much cheaper than their leather counterparts. But they get faster and harder. Is it possible to wash car covers from fabric or velor? In general, it is possible and necessary. But here you need to pay attention to the gasket and insert. If they are foam, then you need to wash them gently by hand. When machine washable foam rubber crumbles, which is harmful for the covers themselves and for the machine, because it can clog. If such a need arises, then covers with foam rubber should be placed in special bags. If the packing is also fabric, then such covers can be washed almost without restrictions. This way you can wash velor, cotton, linen or synthetic items. Separate small pollution can be washed up, without removing covers from seats. To do this, prepare a strong solution of soap. This liquid is applied with a sponge on the stain and gently rub. Then washed with water or treated with a clean sponge. After processing, the products dry quickly, and there are no traces of stains. Most problems arise with how to wash car covers from fur. Natural material is very picky about cleaning methods. You can refresh the cape with any of the natural materials. The cover is spread on a flat horizontal surface and sprinkled with starch or semolina, or bran. With a long-pile product, the tool should be cleaned in the course of hair growth. If the wool is short, then do the opposite. You also need to carefully rub the product, and then shake well, so that the remnants of cleaning agents are poured. For cleaning natural fur, you can use special sprays. They are sold in specialized stores of fur products. Individual spots are well removed with a special eraser. It can also be purchased in a specialized department. Washing the covers of their natural material in a washing machine is strictly prohibited. Fur prefers dry cleaning methods. Artificial fur can be easier. But before you take any steps, you need to read the instructions: the risk is great that when the nap gets wet, it will just come out. If something is spilled on such a cape, you should immediately wet it with a napkin or a dry cloth to remove the liquid. Then at the earliest opportunity the case must be removed and dried. This should be done away from heating appliances and direct sunlight, at room temperature. To maintain a neat look, fur covers must be periodically shaken off, crumbs removed from them and combed. This is a very whimsical and gentle material. Washing wool covers has several of its features. They are dealt with as with many other things from this material. The technology, how to wash car covers made of wool in a washing machine, is simple. First, they cannot be washed at high temperatures, since they can sit down from this. It is advisable to place the covers in a special mesh, and only then put in the drum. Washing is carried out only in a delicate mode, so as not to damage the fabric. Be sure to use special washing powders and concentrates for wool (or, at least, for delicate fabrics). It is advisable to add conditioner to the rinse water, which will soften the product and give it a pleasant aroma. To dry wool cases need to be straightened out on a horizontal surface. In the vertical position, they are deformed. In fact, in how to wash auto covers, there is no special wisdom. You just need to know what material they are made of. And then common sense and instructions for use will help to do the right thing. If there are doubts in their abilities, then the washing should be entrusted to professionals and take the products to dry cleaning.